When you book your vacation with me, not only are you getting concierge level service for free, but you are also entitled to some free Disney money! Here is how it works. This is a great bonus for you! You can also earn a $25 gift card for referring your friends to me! 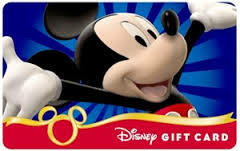 If one of your friends books a trip worth over $2000 you will get $25 in Disney Gift Cards for Disney referrals and visa gift cards for all other destinations after they travel! Contact me Jess@Pixievacations.com for more details! This entry was posted in Deals and Discounte and tagged Free Gift Card. Bookmark the permalink. ← Summer Room Discount News!! !